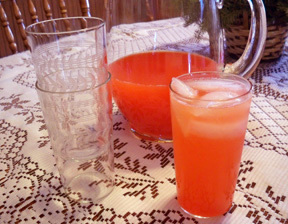 A refreshing punch mixed with seven-up for a little added spark. This recipe makes a large batch which is great for a large gathering of family and friends. Mix all ingredients together except for the 7-Up. Just before serving, mix half and half with the 7-Up. 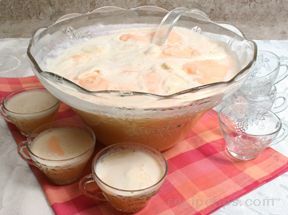 "I made this punch for my son's birthday party. It was simple to make and all the kids loved it. I used fruit punch Kool-Aid. It had great flavor and the recipe made a huge batch. 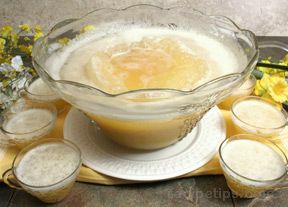 My kids thought that was great to have punch leftover for the next couple of days. I mixed the seven-up with it as they drank it so that it didn't get flat. 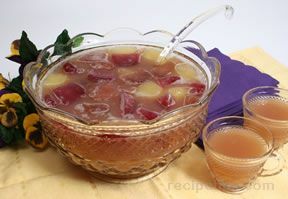 I will definitely use this punch recipe the next time I need a beverage for a large group."